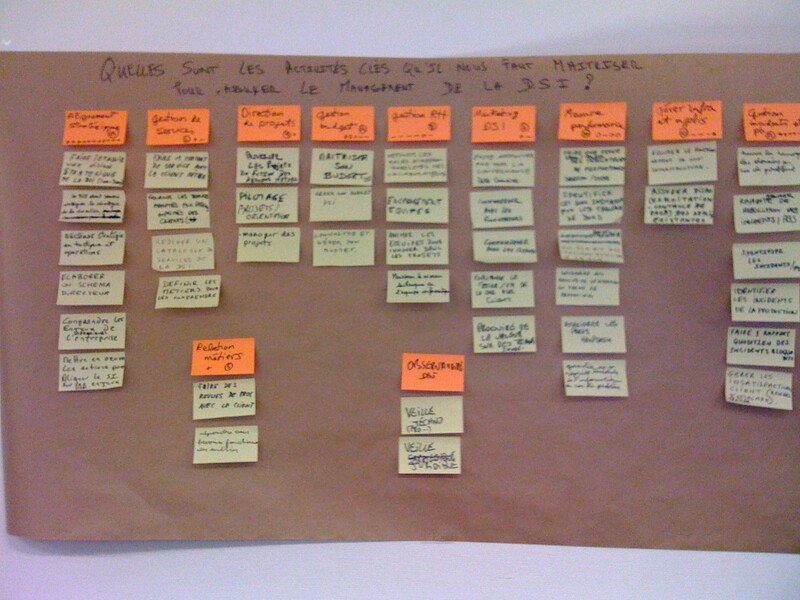 An affinity diagram is a tool that uses intuition to discover categories of a problem. It also is referred to as the Slip method, named after C.C. Crawford, who developed the tool using slips of paper to record and group information into categories. As Extractable puts it, it allows researchers and designers to take indistinct information and make it concrete and actionable. 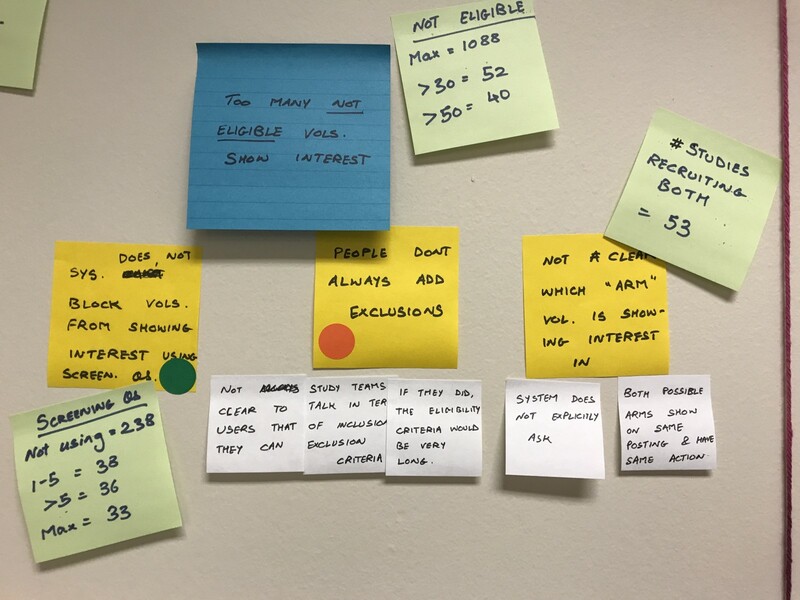 In the world of design, teams usually use affinity diagrams to collectively clarify the fuzzy data that is collected through qualitative user research. The process allows all the team members to gain a common understanding of the qualitative feedback received, and categorize it into actionable themes. Affinity diagrams are great at bringing clarity to qualitative data that exists in your field notes or open ended responses. An affinity diagram can help you bring to light the pain points, positive experiences, and end goals of the people that you have just researched (qualitative user research). But to understand your user community as a whole, and at scale, you need to augment this by establishing how wide ranging the themes that you have bubbled up through the affinity diagram are (quantitative user research). Are your themes reflective of a significant portion of your user community, or only of the users you have spent time in the field with? And that is where a traditional affinity diagram falls short — it does not provide a design team with a full picture of what is happening in the field. To establish this, we can use the themes that have been established through the affinity diagram to probe further for any quantitative information supporting the theme. We can then superimpose this data on our affinity diagram to get a more complete picture of our users. We like to call this resultant diagram a Hybrid Affinity Diagram as it contains the themes discovered from qualitative user research, as also the quantitative data that supports these themes. An example node of a hybrid affinity diagram. The qualitative data points are supplemented with quantitative information. As an example, here at UMHealthResearch we conducted user interviews with 19 study teams to qualitatively understand their experience using the tool to recruit research participants. We then constructed an affinity diagram with the data we had gathered. One of the themes that emerged from the exercise was that too many volunteers who are not eligible for a study show up in the list for that study. This causes a lot of wasted time and effort for our study teams. To know if this only impacted the people we interviewed or our broader user community, and to understand this issue in more depth, we looked into our data. We found that about 17% of our studies have greater than 30 volunteers marked as ineligible and 13% have greater than 50 volunteers marked as ineligible. So this issue impacts a sizable chunk of studies but not all of them. We superimposed this quantitative information on our affinity diagram right next to where the issue was called out. We continued to do this for other data points within this category. This gave us a much more fuller picture of the issue at hand and allowed us as a team to have more robust conversations concerning prioritization, impact and planning.